The Rise of the Novel is Ian Watt's classic description of the interworkings of social conditions, changing attitudes, and literary practices during the period when the novel emerged as the dominant literary form of the individualist era. 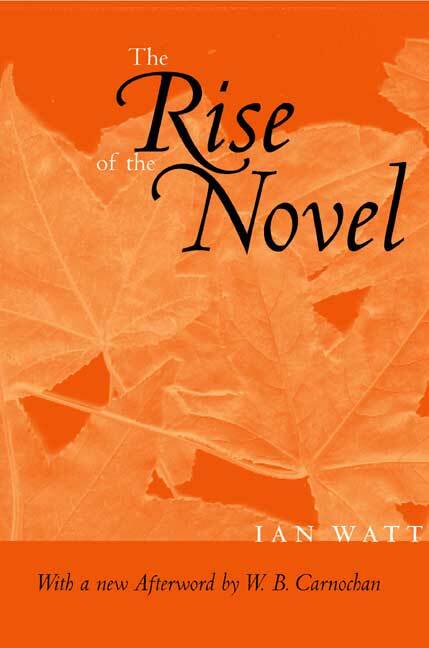 In a new foreword, W. B. Carnochan accounts for the increasing interest in the English novel, including the contributions that Ian Watt's study made to literary studies: his introduction of sociology and philosophy to traditional criticism. Ian Watt (1917-1999) was Jackson Eli Reynolds Professor of English at Stanford University. W. B. Carnochan is Richard W. Lyman Professor of the Humanities Emeritus at Stanford, where he was a colleague of Ian Watt's for many years.